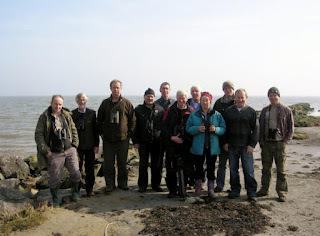 A joint outing to Dundalk bay with the Monaghan branch of Birdwatch Ireland took place on Sunday 25th March. We met at the Dundalk docks at 11am, where we were joined by Gerry O’Neill of the Louth Branch. 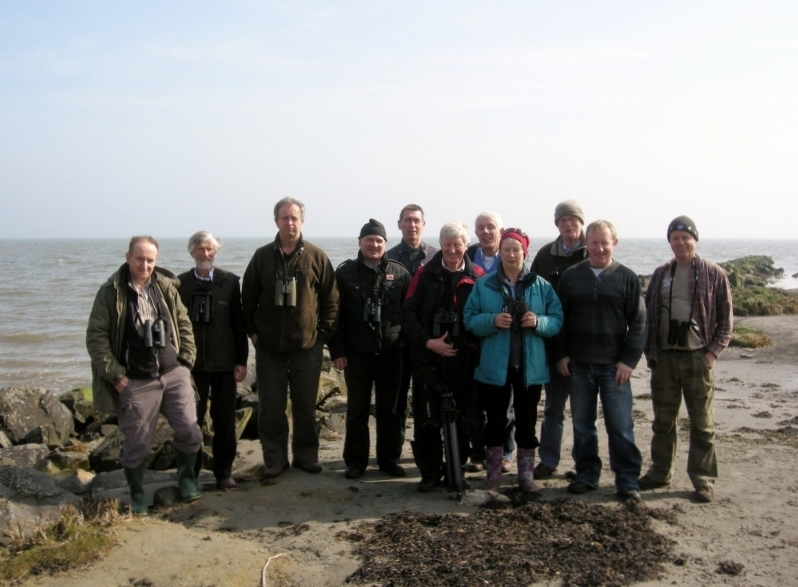 There was a great turnout, with the lovely March weather providing ideal conditions for the photographers of the group. Birds sighted included little egrets, brent geese, teal, ruff and black-tailed godwit (one of which had coloured leg rings). Details of the leg rings will be sent on to Jim Wilson who is involved with the black-tailed godwit ringing project and we look forward to learning about the birds history to date. After about an hour and a half at the docks we left for Blackrock in search of twite. Unfortunately the twite failed to make an appearance but we took advantage of the opportunity to take a few group photos! Our next stop was Lurgangreen where we spotted pintail, a buzzard and large flocks of gulls, godwits and brent geese, as well as a few greylags. After taking in the atmospheric scene of geese flocks flying in to feed in the Spring sunshine, we enjoyed a late lunch before heading home. Thanks to Gerry O Neill for his help on the day and to Joe and all the Monaghan Branch members for their good company. We look forward to planning a future joint event later in the year!